Hosted by the Figure Skating Club of the Quad Cities at the River's Edge, 700 W River Drive, Davenport, Iowa. LINK to ONLINE Registration through Entryeeze: comp.entryeeze.com/Home.aspx?cid=306 If you cannot link directly, copy the link into your browser and retry. Please contact the registrar at jenstruss@msn.com if you have problems with online registration. To streamline entry, we have gone to a paperless entry system that is credit/debit card based. Practice ice should be reserved on www.entryeeze.com once available. Additional practice ice may be available at the Registration Desk during the competition. ​Members, access your account to enter the test. Non-members, click on the button in the upper left corner. Championships. The 2019 Quad City Championships is a USFS sanctioned non-qualifying competition. Skaters must be eligible persons registered as members of USFS and may compete at their test level or one level higher as of April 15, 2019. Ages are as of April 15, 2019. Basic Skills Competition. Eligibility will be based on skill level as of April 15, 2019. All SNOWPLOW and BASIC SKILLS SKATERS must skate at their highest level passed and NO official U.S. Figure Skating tests may have been passed including MIF or Individual Dances. 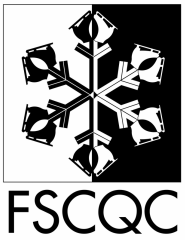 FSCQC wishes all skaters a terrific competition and rewarding experience! Ask about discounted rates at The Radisson, Davenport, Iowa for the 2019 competition. Hospitality for our Guests- For lodging, local dining and other amenities, go to the Quad Cities Convention and Visitors Bureau website at www.visitquadcities.com. For our skaters coming into town, check out The Radisson in downtown Davenport for accomodations close to our event at a discounted rate: http://www.radisson.com/.